On Monday, Pakistan sentenced former Indian Navy officer Kulbhushan Jadhav to death for espionage and "subversive activities" across the country. While India has been maintaining that Jadhav is a former Indian naval official caught from Iran's Chabahar, where he ran a ferry business, Pakistan, on the other hand, claims he is a serving RAW officer who was covertly supporting the Baloch rebels. Caught on 3 March, 2016, Pakistan used the 'Jadhav card' to accuse India of creating trouble in Balochistan and other parts of the country. 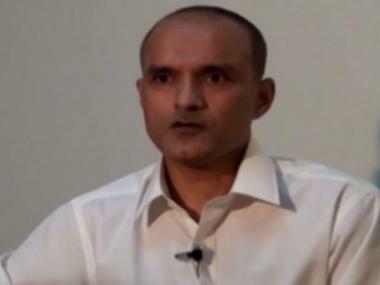 Pakistan also came out with Jadhav's confessional video in April 2016, where he conceded that his "purpose was to hold meetings with Baloch insurgents and carry out activities with their collaboration". The footage apparently also shows him saying that he had set up a small business in Chabahar in Iran which facilitated him to achieve undetected existence and visits to Karachi in 2003 and 2004. However, India had rejected the validity of the video and claimed that it was tutored or recorded under immense mental and physical pressure. Before Jadhav, another Indian citizen Sarabjit Singh was sentenced to death for spying. However, he died on 2 May, 2013, succumbing to his serious injuries after being attacked by his jail inmates in Lahore's Kot Lakhpat Jail. While Sarabjit's story hogged media's attention, few other stories of alleged Indian spies could not get the same amount of attention from the Indian media. While India has never hanged a Pakistani spy, Pakistan hanged an alleged "spy" in 1999. AFP had quoted Pakistani sources as saying that Shaikh Shamim was caught "red-handed" near the border with India in 1989. Pakistani police had also added that a transmitter he was allegedly using to communicate military secrets was also seized back then. Known in the internet world for being the possible inspiration behind the film, "Ek Tha Tiger", Ravindra Kaushik is one of the few Indians whose record as a "spy" is now well known. 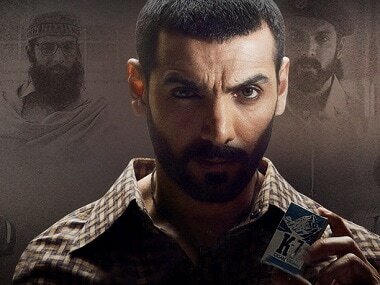 According to a report in Dawn, Kaushik was recruited by the RAW, trained, and sent to Pakistan in 1975. He later joined the Pakistan Army, reaching the rank of Major. Throughout his undercover days in Pakistan, he lived under the alias Nabi Ahmad Shakir. A classic case of human intelligence, the report added that between 1979 and 1983, Kaushik provided sensitive information to India. However, he was caught in the mid-1980s and jailed. He died in Multan jail in 2001 after contracting tuberculosis. While hundreds of Indians languishing in Pakistani jails fail to return home, Kashmir Singh had been one of the few lucky prisoners who could go back home. Arrested in 1973, he was convicted and sentenced to death for spying, a charge he denied for 35 years that he served in a Pakistani jail. However, Singh was pardoned by the then president Pervez Musharraf in 2008. He received a hero's welcome on his arrival, where he dropped a bombshell that he was indeed a spy. “I was a spy and did my duty. I went to serve the country. Even Pakistan authorities failed to get this information from me,” PTI had quoted him as saying.